How come kids get all the coolest stuff? Ahead of this year’s NYC Toy Fair, Hasbro has released its first look at its new Black Series Poe Dameron helmet, and it’s freaking gorgeous. Just look at it! 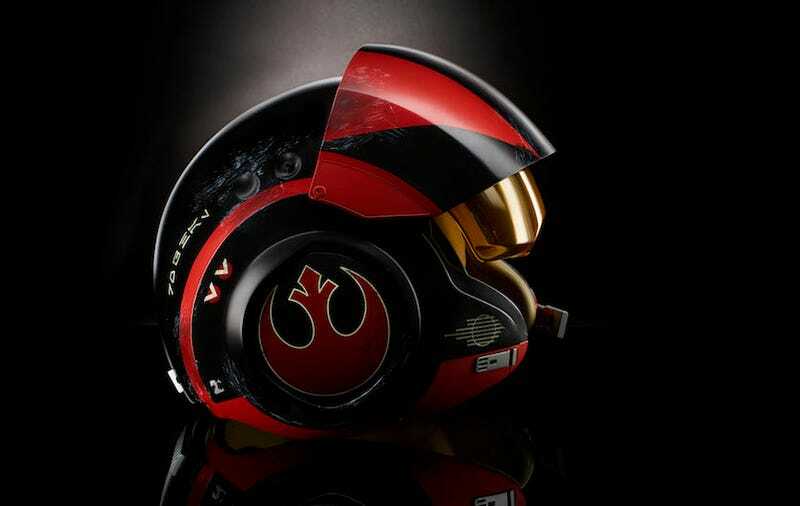 The helmet’s perfectly scuffed and scarred from the turmoils of intergalactic war, with a surround speaker system that plays X-Wing and Tie Fighter vehicle sounds. Plus, it transmits communications from BB-8. It lets me talk to BB-8! The helmet is recommended for kids 8 years and older, which means my dreams of becoming the next rebel pilot have died before they could even start. Oh well, guess I should go have a baby so I can vicariously live out my dreams through her or him in a few years. The helmet’s set to cost about $80 and should be available later this year. Update: Thankfully, Hasbro PR reached out to let us know the helmet does fit adults, so the mission is still on.